Always Look on the Bright Side of Life: A Sortabiography by Eric Idle is due to be released on October 2, 2018, but I was lucky enough to get an advanced ebook copy from FirstToRead.com. But this book isn’t just about Eric Idle, George Harrison and the Pythons. The names of all the notable people Eric has worked and socialized with is outstanding (and take way too much band with to list)! I actually got tired of the name dropping at one point, but that is the way his life has evolved. And every name he drops has a story. From getting Harrison Ford and Carrie Fisher drunk the night before a filming a major scene in The Empire Strikes Back (he says you can tell they’re hungover in the scene), to having dinner at Billy Connolly’s house with Robin William and Prince Charles all at the table! Unfortunately, the ebook copy that I received from Crown Publishing is an unedited proof, so there are some typos and some really rough paragraphs that could use some cleaning up, not to mention one badly placed photo with the wrong caption. Oh…and speaking of the photos! There are photos from so many of Eric Idles stories that you’d think he had them taken just so he could prove that the outrageousness of some of his stories are true. The Beatles Yellow Submarine is a new graphic novel that was just released this past Tuesday, August 28, 2018. It was put out by Titan Comics and illustrated by Bill Morrison – the co-founder of Bongo Comics and editor of MAD magazine. I admit that it’s been a very long time since I’ve watched the movie Yellow Submarine. In fact, I actually wasn’t sure if we owned it and I had to go out into the garage to look through our old box of DVD’s to find it. So by now you all realize that mine is the 1999 version and not the beautifully restored 2012 version. This brings me to my second confession that after getting about 20 pages into this 112 page hardcover, graphic novel, I slipped the movie into my player to see how the book compared to the original story. Picture yourself…in your favorite chair, with your favorite small child (be it your own kid, niece, nephew, or kid you babysit) curled up next to you as you read them the story of the Yellow Submarine. The book follows the movie as best it can without all the great psychedelic animation or well-known songs as background music. But if you’re a true Beatles’ fan, chances are your kids already know the title and other songs. Where the movie may be a bit much for young minds to absorb, this graphic novel is a great way to introduce your children to reading while at the same time making sure that they are future Beatles freaks like their parents or guardians. Flower Power Fatality: A Psychedelic Spy Mystery is the third book I’ve read by Sally Carpenter and reviewed on this blog. Sandy writes the Sandy Fairfax Teen Idol series of mysteries and now she’s branched out with a new series. She’s a huge Beatles fan and whenever possible, she’ll mention them in her books. In fact, her first novel, The Baffled Beatlemaniac Caper is about a mysterious murder at a Beatles convention. Flower Power Fatality is based in 1967. The lead character Noelle McNabb finds herself knee deep in helping to solve the mysterious murder of a man who knocks at her door on a cold rainy night and falls to her floor from a gunshot wound when she answers. It isn’t long before a secret spy organization shows up looking for information about the dead man that she doesn’t have. Or does she? Published in 2013, Tune In: The Beatles: All These Years comes in at a whooping 932 pages (803 without the bibliography and index). One would think that’s a lot of pages for the first of three books that author Mark Lewisohn has planned for this series, until you realize that Tune In: The Beatles – All These Years – Unedited/Extended Special Edition has 1728 pages! So…why did I wait so long to read this book? Well, over the past 5 years I’ve probably said at least 5 times, “I will never read that book. It’s just too long!” And what changed my mind? Well, it was you, dear readers. The guilt of not posting anything of real substance over the past several months finally made me take this book down from my bookshelf. I thought I could sit down and read the entire book in a weekend, but it proved to be just too much information coming at me all at once. And even though I’ve read dozens of books about the Fab Four, Mark Lewisohn’s in-depth research left me with so many more questions that I actually wonder if I should pick up the unedited edition some day. Eegads folks…what kind of introverted, anti-social monster has he turned me into? So many details and yet so much more to learn, Lewisohn turns his readers into Fab Four junkies before hitting the halfway mark in this book. The Beatles are my sugar of choice and Mark Lewisohn is my candy man! One thing about the book that left me scratching my head, though, was that throughout, Lewisohn goes into great detail to describe pictures that were taken during the early stages of the Beatles career, yet these pictures are not contained within the book. Some of them are, but the majority is not. Whether or not they’re in the extended edition, I don’t know. Hopefully, one of my readers can enlighten me on that fact. Also, the author really did his homework when it comes to the women that John, Paul, George, Pete and Ringo dated in their pre-fame days, mentioning so many of them by name and even providing details and quotes from them. Yet, Cynthia Powell seems to not be as prominent even though by the end of the book she’s 4 months pregnant and living with John’s aunt Mimi. I’m not sure if Lewisohn is just downplaying her part in John’s life (since it is a book about The Beatles and not John), or maybe so much has already been written about her, or maybe no one close to Cynthia (including Cynthia) would talk to Lewisohn during his research. It’s a question I’d love to ask him. I took several hours away from reading a 900+ page book about the Beatles to read something new that showed up in my mailbox. In April (in conjunction with Klaus Voormann’s 80th birthday), a pre-order for the Exclusive Signed Edition of Klaus Voormann – It Started in Hamburg became available, so I placed my order. Over this past weekend, it finally arrived! This book is only available through Klaus’ website. It’s listed for €39 ($45.19 or £34.49) + shipping. There’s also the Limited Deluxe Edition with a special contribution by Ringo but it’ll cost you €480,00, and well, most of us can’t afford one of the just 80 copies, so we’ll move on. This book was released on June 11, 2018. It Started in Hamburg is what is commonly referred to as a ‘turnaround book’. One cover is in English and continues on in English as you turn the pages, but if you flip the book over, the cover is in German and you can read the same book in German. The book is a softcover that is a little over 8″ x 10″ and 224 pages long (only 113 pages for either German or English side). Also, being the Beatles freaks that I am, I’m going to save the packaging the book came in because it’s obvious from the signature on the declaration form, that Klaus himself mailed it. This book is filled with over 200+ images of Klaus’ artwork. And though I would have preferred to have read about his life’s work in chronological order (he presents it in categories), the story is none the less very impressive. He’s done so much more than I ever imagined, including the producing of the song “DaDaDa” by Trio. Rock & Roll’s Most Wanted: The Top 10 Book of Lame Lyrics, Egregious Egos, and Other Oddities by Stuart Shea is another book I picked up for free at The Book Thing in Baltimore this past March. Released in August 2006, this 304 page book is an amusing collection of rock n roll Top 10 lists. There isn’t really much more to say about this book than what’s already in the title. 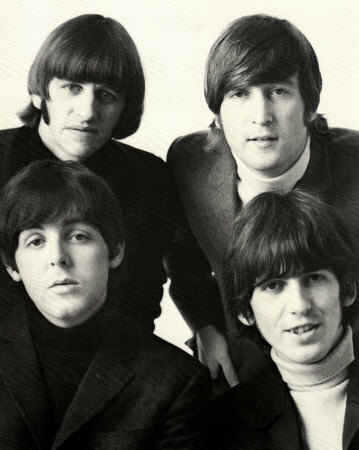 If you’re wondering if they Beatles get mention, the answer is “yes…often!” There is even one Top Ten list of who’s been called or deemed worthy of the title of The Fifth Beatle. I admit that some of the author’s choices in the category are a little shaky in my opinion, but you’ll have to get the book and decide for yourself if you agree or disagree. For Christmas last year, my daughter gave me a gift certificate for The Fest for Beatles Fans. My intent was to use the certificate to actually go to the fest, but sometimes life has other plans for us, so instead, I headed over to the fest online store and bought myself a copy of a book I’ve been wanting for a long time…A Dose of Rock ‘n’ Roll by former model and photographer Nancy Lee Andrews that was published in 2008 and is 292 pages. My copy isn’t just any copy…it’s the deluxe signed and number edition and it’s absolutely gorgeous! A hardcover book complete with dust jacket and a hardcover sleeve to keep it safe. I picked this up the other day to finally glance through it for review and an hour later I found myself over one third of the way through it. Definitely way more interesting than I had originally thought it would be. Ms. Andrews starts each chapter telling us about her photographic subjects/friends, how she met each one and their history together. And while not all the photos are her photos, but most of them were taken while she was in attendance at an event or party. For those of you ‘not in the know’, Nancy is the former fiancè of Ringo Starr, having spent 5 years with the former Beatle in the late seventies. And even though Nancy already ran with the hip and trendy folks of the seventies because of her career as a Ford model, Ringo opened up a lot of doors that allowed her to photograph Sir Richard Starkey in many a situation and so many other stars in and out of the studio. This collection is awe inspiring and the picture of Ringo and his children and precious.